New technologies are launched everyday; however, there are certain technologies that have power to revolutionize the world. 3D printing is such a technology that is bound to redefine the manufacturing of homemade and customized products. 3D printing is still a naive topic. Most of the people think that it is a similar process as normal printing; however, it differs a lot. Unlike a regular printer, that creates an image on TV screen, monitor, or paper, 3 D printing produces real objects, for instance, earlier craftsmen used hand techniques and tools to mould material into a particular shape, but 3D printer easily creates a 3 dimensional structure in no time. 3D printing, which is also known as Additive layer manufacturing in industrial terminology, is a manufacturing process that uses digital model to create 3-dimentional solid objects of virtually any shape and size. The process is also called architectural modeling, rapid prototyping, and stereolighography. The technique uses layers of material to make the desired object. By using the technology, creating complex shapes and structures becomes easy. The 3D printing technology uses distributed manufacturing and prototyping and finds applications in construction, automotive, architecture, aerospace, engineering, medical, and dental industries, jewelry, fashion, food, and various other fields. Manufacturers create a digital model with the help of a 3D Computer Aided Design (CAD) program. This model is sliced into extremely thin layers. While printing, the 3D printer starts printing from the bottom of the design and layer by layer builds the desired object. Initially, the technology was available with large corporations, as it was expensive; however, with more advancement, desktop 3D printers came into being and the technology became affordable as well as accessible to even small and medium sized companies. These days the use of 3D printing ranges from designing fine jewelry to designing automotive parts. It took a lot of time and money to create prototypes in the past; however, 3D printing has eased the stress and has made it economical and less time-consuming. Now companies can produce own prototypes instead of outsourcing the work to production companies and this greatly helps them bring down their expenses. The credit of creating first 3D printers goes to Chuck Hull who developed this wonder machine in 1984. Depending on the product to be made, different printers use different material for creating layers, such as resin, metal, plastic, polymer, gel, etc. Exact replicas of various objects can be easily created by using this emerging technology. With time, the cost of these printers has substantially decreased and the sales have increased. The technology promises to be the future of manufacturing industry. It will create endless possibilities for manufacturers and will allow them to create solid objects by simply pressing a button. Social networking giant, Facebook has acquired WhatsApp, a leading cross platform messaging c ompany. The deal value of acquisition is pegged at $16 billion and payment would be made $4 billion in cash and $12 billion in shares of Facebook. Another $3 billion in RSUs will be granted to WhatsApp founders and their employees. The deal also includes $2 billion (One billion in cash and rest in shares) in case it gets shelved due to failure in obtaining necessary regulatory approvals. 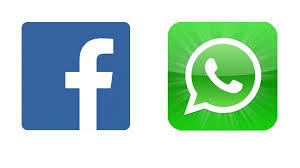 As Facebook and WhatsApp work on the same principal of connecting individuals, it is suggested that the partnership would mutually benefit both parties. The remarkable success of WhatsApp of being the maximum used messenger service across the world is believed to increase the reach of Facebook in the longer run. As for Facebook’s benefit to WhatsApp, the former’s resources and history of being the most successful social networking site, will lead to the expansion of WhatsApp across the world. In the meanwhile, WhatsApp will continue to charge $1 after the initial free period of one year as it is currently doing. It is estimated that the messaging volume on WhatsApp is almost equal to that of the combined telecom text messages across the globe. The messaging application adds to its count a whooping 1 million new members every day. Current statistics as per Facebook’s Blog are that over 450 million users use WhatsApp every month and out of those 70% are active daily. WhatsApp, with its lean team of 32 engineers processes more than 50 Billion messages every day. To begin with, WhatsApp founders’ strategy was to provide ads-free messenger service that is fast, reliable and cheap. There are many messenger services but, WhatsApp supersedes them with advanced technology that facilitates deliverance of messages at lightning speed. Though not on the cards yet, with WhatsApp in Facebook’s going for a merger, we can expect to see even better integration of messaging services with the social networking platform. Using Facebook page to create a business profile helps highlighting information about business location, schemes, offers, special discounts of an enterprise over the social network. Option of “like” allows users to endorse the business and stay updated with latest developments, news and other activities of business. A dedicated page on Facebook about the business can help build a communication channel between customers and service providers. Thus, answering queries of users and helping them becomes far more convenient. Facebook page also helps in promoting various non-business activities of the company and thereby boosting the brand’s reputation. Facebook allows enterprises to create and promote advertizements and showcase them to users according to the demographics. The ad is placed on the right hand side of the webpage. 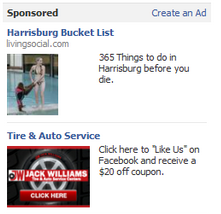 To make the ad more attractive, facebook gives the option to use images along with the text. Besides selecting a set of users based on demographics, you can also pick a particular ad to cater to a particular “group” or “friends of friends” who have already liked your Facebook page. Facebook allows advertizers to post “suggested posts” on news feed of specified users. Sponsored posts help send messages to users. Though these are the prominent Facebook marketing strategies provided by Facebook, an Internet marketing company well-equipped with knowledge will make use of all the features available to market their clients’ business. Various campaigns can be created and effectively implemented using “share” and “like” features. It is important to upload posts that are not only informative, but can also pledge a viral promotion. 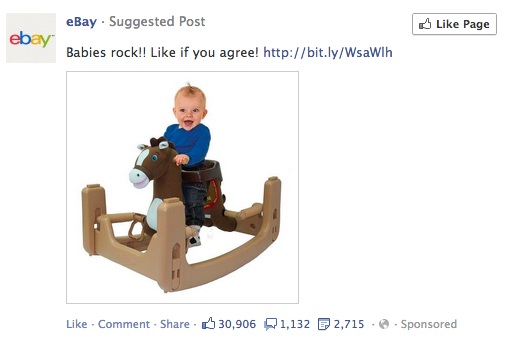 Pictures, quotes, videos that appeal to masses serves the cause further of marketing a product or service on Facebook.